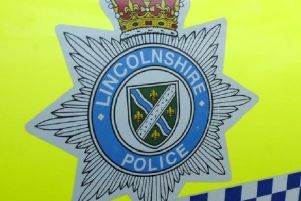 Lincolnshire Police are appealing for information after a burglary in North Thoresby which took place yesterday (Sunday). Items including copper cable, steel biomass tubing, four Toyo racing tyres and a Stihl strimmer with charger were stolen from farmyard outbuildings on Station Road. Police say the offenders reportedly arrived at around 3am on September 23. A Lincolnshire Police spokesman said: “It is believed that two men – one approximately 6ft with short hair, wearing a light coloured hooded jacket with a small logo on the left arm, and one approximately 5ft 6, wearing a dark coloured hooded top with the hood up, and wearing jeans – entered the outbuildings on Station Road. “We are appealing to anyone who witnessed anything, or has any information, including having information on the stolen goods. Police are urging anyone with information to call 101 quoting incident number 149 of September 23. You can also email force.control@lincs.pnn.police.uk with the incident number in the subject box.